This quaint hamlet nestled in the Hudson Valley is the home of our first location and Fair-Rite’s Corporate Headquarters. Built in 1952, manufacturing started in 1953 and since then Fair-Rite has grown from 15 to over 120 employees at this location. Today, the Wallkill facility houses Corporate Offices, Sales and Marketing, Customer Service, Engineering, Production, R & D, Quality, Shipping/Warehousing, Accounting, Maintenance, Facilities, Security, IT, Logistics/Procurement, IE, Proto-type Shop, and Human Resources. 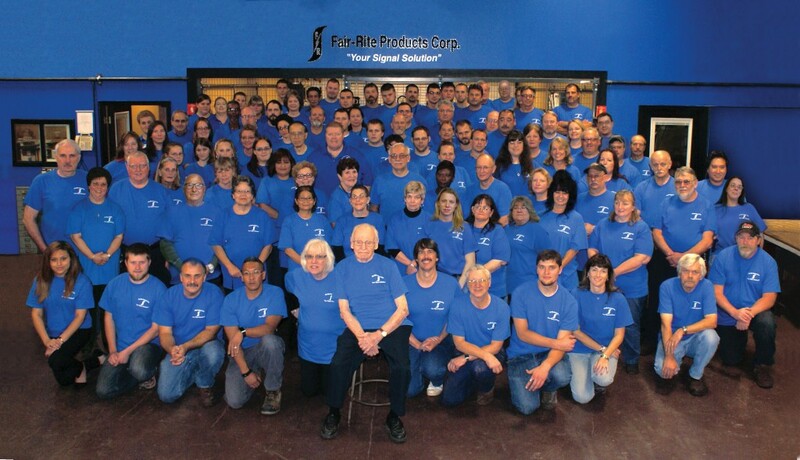 In 2013, we unveiled our state-of-the-art prototype machine shop to service your design needs. See our prototyping page for more information. The Wallkill Fair-Rite team photographed in late 2014.